Showing 9 articles from February 20, 2013. 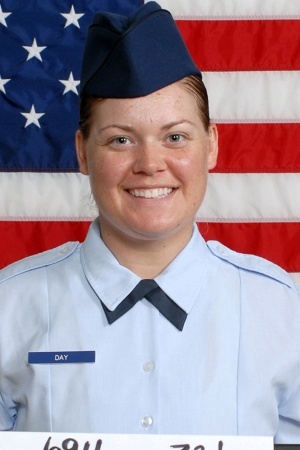 Air Force Airman Krystal A. Day graduated from basic military training at Lackland Air Force Base, San Antonio, Texas. The public is invited to attend the showing of artwork from students at the Grays Harbor Community College Riverview Education Center in Raymond on Thursday, March 7between the hours of 4-7 p.m.
Margaret A. Habersetzer, a longtime resident of Frances died Wednesday, February 20, 2013 at the St. Joseph’s Medical Center in Tacoma. She was born December 6, 1935 in Toledo, Wash. to William and Mary (Byrnes) Raupp. Ronald K. Parks, who lived in the Raymond area for about four years until last summer, passed away from natural causes in Ontario, Ore., January 18; he was 67. Willapa Harbor Baseball Association tryouts take place March 13, 14 and 15 (Wed, Thurs & Fri) for all 9-12-year-olds between the hours of 4-6 p.m. at Riverdale Ballfield. SOUTH BEND – The Pacific County Sheriff’s Office is committed to the citizens that it serves. The Sheriff’s Office has scheduled a series of community meetings within the local communities so that members of the office can visit directly with the citizens that it serves. Traditions make for wonderful stories. This year the Pacific County Democrats will be celebrating a great tradition with their 88th annual crab feed.